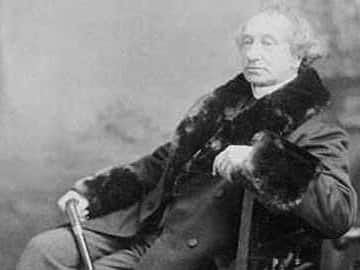 Fifty years after his death, Sir John A. Macdonald is bringing Canadians together once more. Near the Kingston cemetery where Canada's first prime minister is buried, two prime ministers, present and past -- William Lyon Mackenzie King and Arthur Meighen -- speak to thousands of onlookers with a message of Canadian unity as a war rages overseas. The June 1941 ceremony is captured by a CBC Radio mobile unit for a live nationwide broadcast. • Other speakers heard in this clip are R.B. Hanson, who was leader of the Opposition Conservatives in 1941; Ernest Lapointe, Quebec lieutenant in King's cabinet (he died later that year); and H.A. Stewart, mayor of Kingston. • According to writer Yves Y. Pelletier in the January 2015 edition of Canada's History magazine, Mackenzie King proposed the idea for the tribute just three weeks before it happened. For an in-depth analysis of the event and the motivations behind it, see the magazine feature Soberly Celebrating Sir John.